More consumers are opting to purchase foods free of single-plastic packaging. Image by mcstudio79 from pixabay under a CC0 license. The world’s first plastic-free aisle has opened in a supermarket in the Netherlands. 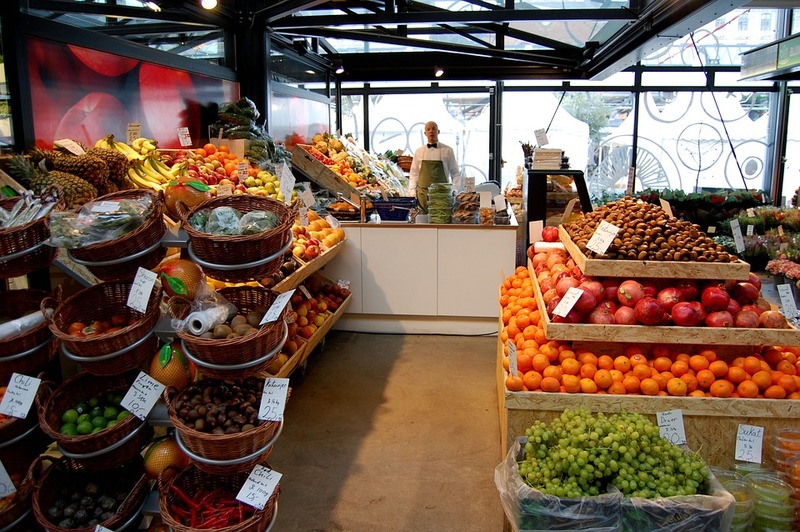 Retail chain Ekoplaza has included the plastic-free area amid the growing trend against single-use plastic items and in response to consumer demand. Instead of plastic, products are wrapped in biomaterials that compost within twelve weeks, according to Chief Executive Erik Does. Ekoplaza has absorbed the additional cost involved with eco-friendly packaging in order to maintain sales momentum. The introduction of Ekoplaza’s plastic-free shopping is just one example of a growing trend against single-use plastic. Around the globe, an increasing number of independent retailers are offering a completely single-use plastic-free shopping experience, putting pressure on the bigger retailers to follow suit. In the UK, retail chain Iceland has responded by promising to be completely plastic free by 2023, saying it is actively working with its suppliers to develop packaging alternatives. Most major UK supermarket chains have agreed to a pledge that will require all plastic to be reusable, recyclable or compostable, by 2025, although there is some scepticism about how committed they really are. Closer to home, Australian supermarkets have also failed to commit to a complete eradication of single-use plastic. Both Woolworths and Coles have announced measures to reduce plastic and food waste, but neither has committed to a total ban of single-use plastic including items such as disposable straws. “While we’ve made progress in reducing the amount of plastic in our stores, supported recycling labelling initiatives, and made improvements in energy efficiency, sustainable sourcing and reducing food waste, we know that more needs to be done to meet our customers’ expectations,” said Woolworths Chief Executive officer Brad Banducci. Coles and Woolworths both phased out single-use plastic bags in the middle of 2018, instead offering customers reusable bags for a small charge, but many customers continue to be frustrated by big retailers’ lack of action when it comes to plastic packaging. Woolworths has been criticized for excessive packaging, especially on fresh food items, and more recently Coles has been under fire for its ‘Little Shop’ campaign, which rewards customer spending with miniature, collectable grocery items. While the retail sector has a big part to play in reducing plastic use, some farmers and producers are also responding to the challenge. In Gippsland, beef producer Paul Crock is investigating plastic alternatives for meat in an effort to reduce the amount of plastic involved in the meat value chain. “Without putting too fine a point on it, meat uses a lot of plastic,” he said. Single-use plastic packaging is particularly significant in the meat industry, due to hygiene requirements. Mr Crock has turned to European manufacturers to see if any suitable alternatives are available and he has even considered a product similar to sausage casings. But Melbourne butcher Tony Montesano thinks the ideal solution may be hard to come by. “Unfortunately you’ve got to use some [plastic]. You can’t exactly have just a flesh of meat. Where do you put it? You can’t exactly put it in your pockets,” he said.